Receiving any snail mail is a good thing. I’ve added some great treasures to my collection lately. 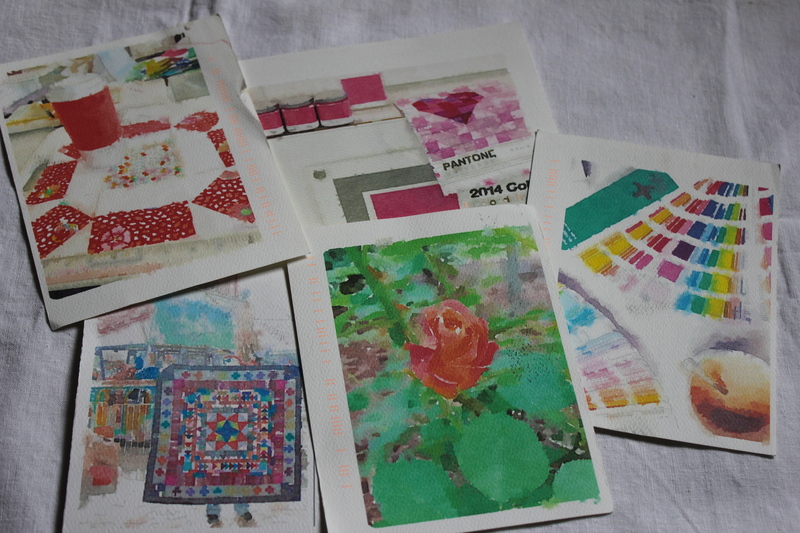 I received another letter from my Paris Letters subscription, which talked about the flowers starting to bloom in spring in Paris. 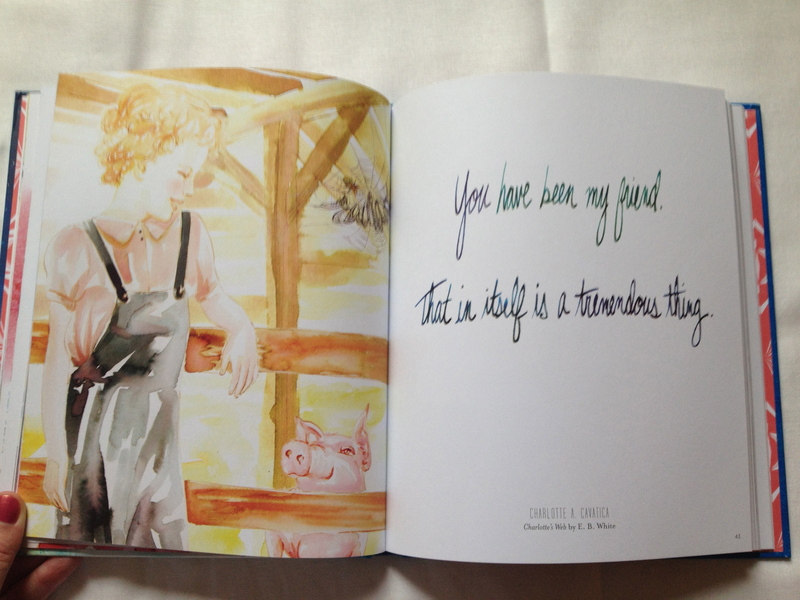 I always feel like I’m right there seeing, hearing and smelling the sights alongside Janice as she writes and illustrates her letters. I also have this beautiful collection of watercolor postcards from my friend Cindy, with whom I started exchanging postcards this year. 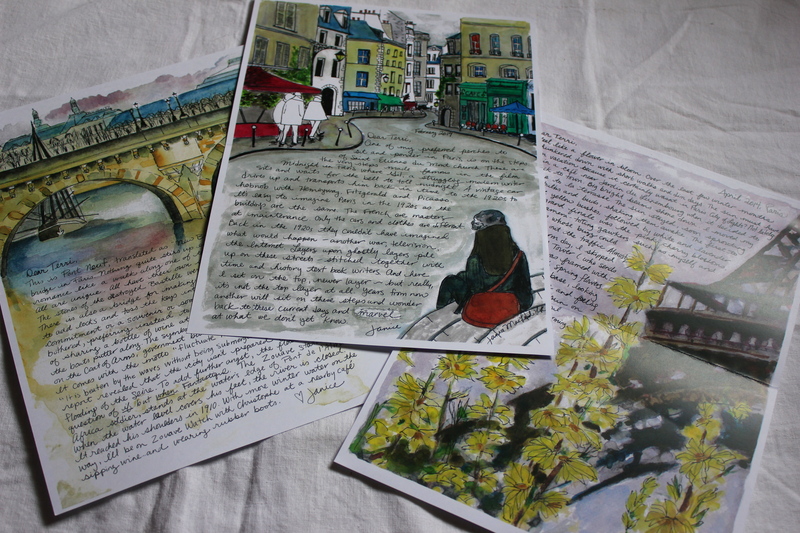 She realized how difficult it is to find postcards these days, so she prints her own using photos and the Waterlogue app. 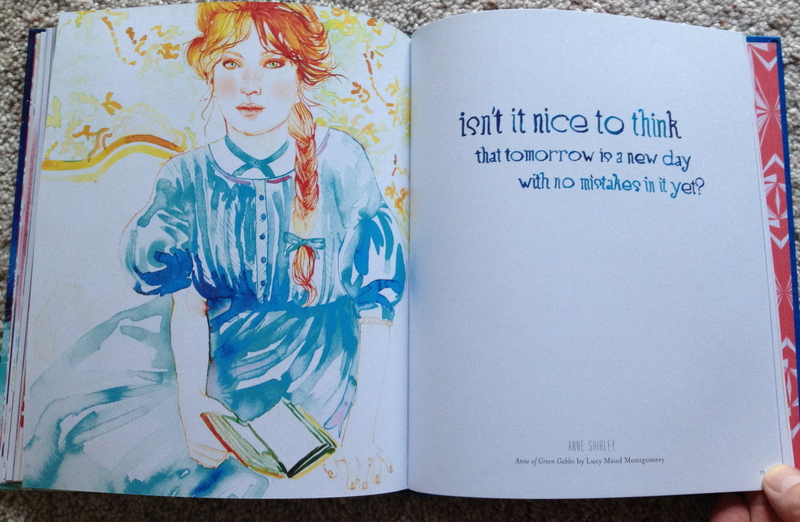 I was especially thrilled to receive anything done by THE Samantha Hahn, a famous illustrator and designer, whom we studied in design school. 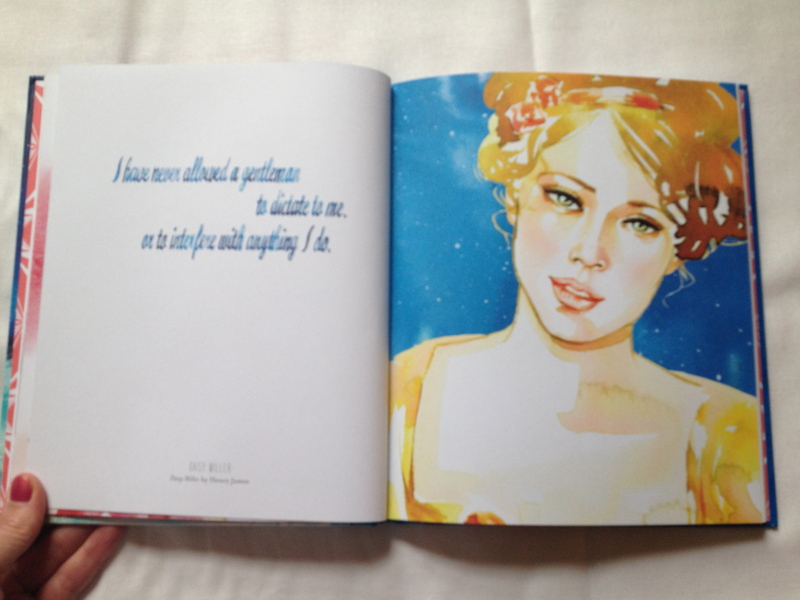 Each portrait is painted so beautifully, and the quote is hand written to match the mood of the character and her scene. 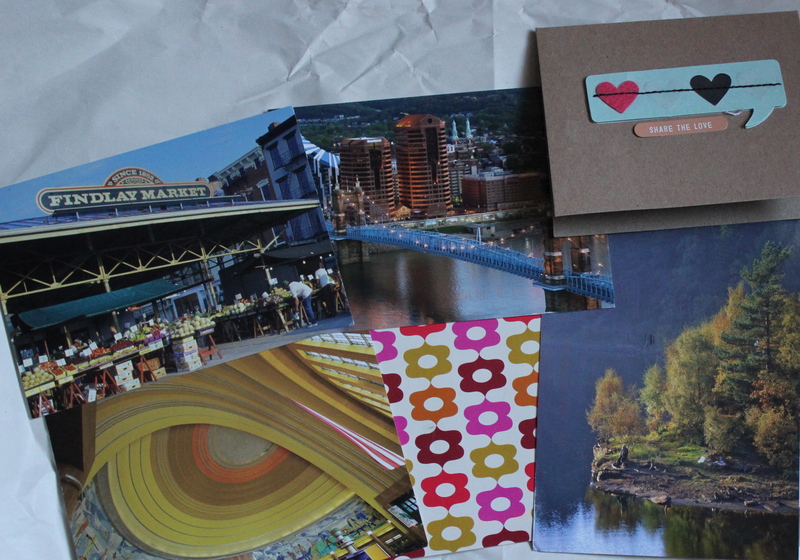 So wonderful to receive a variety of fabulous art in the snail mail to add to my growing collection. 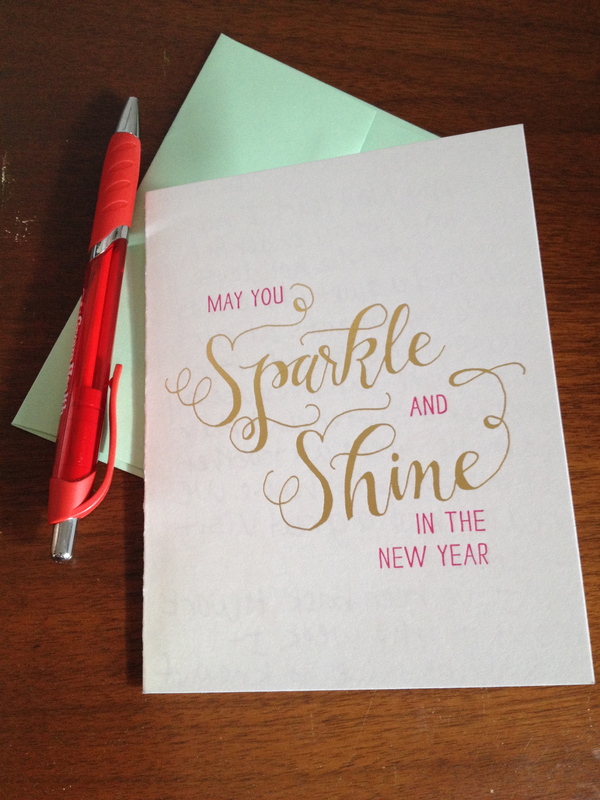 Happy letter writing! 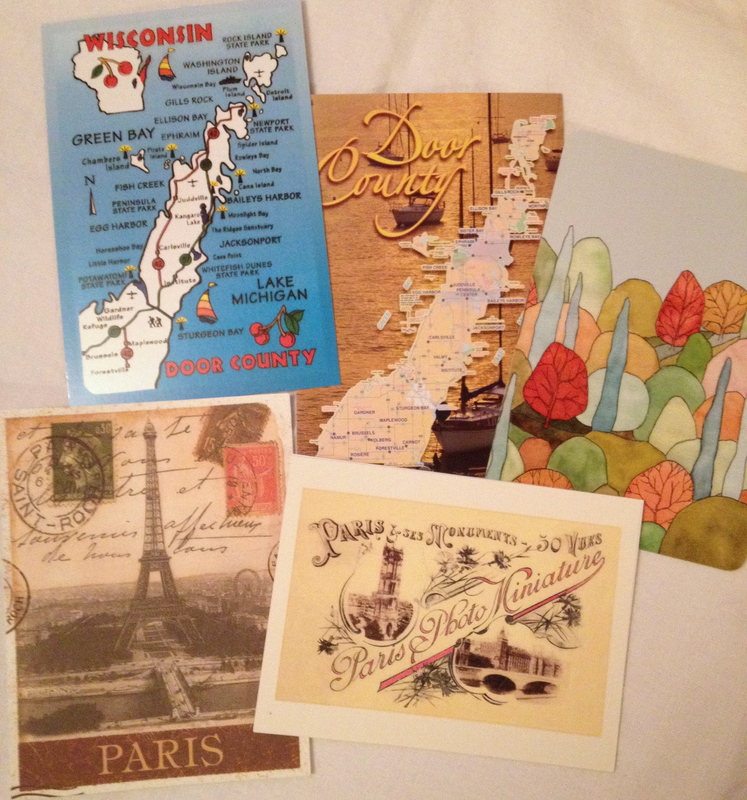 Some of my outgoing snail mail lately, going to places like Minnesota, Ohio, California, Florida, northern England. It’s been fun to receive a lot of incoming snail mail lately. 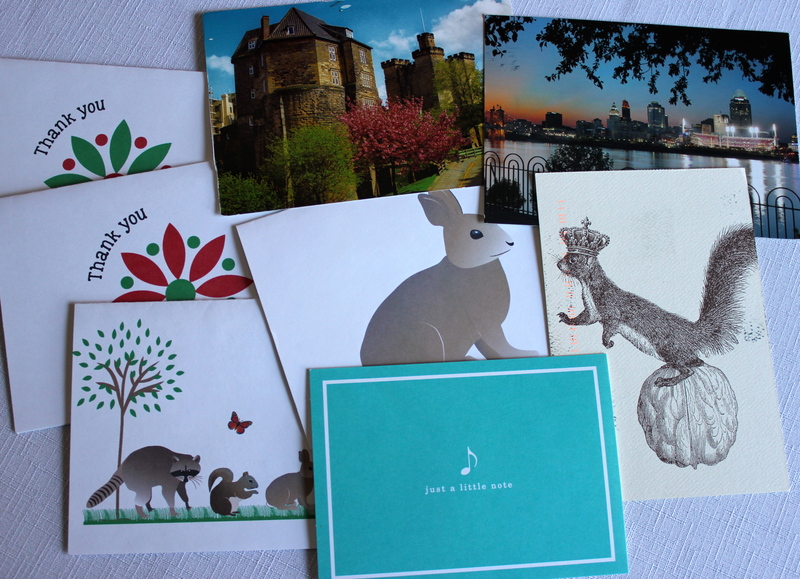 I love seeing such a colorful variety of postcards and notecards, including some notecards of my own designs. Did you send or receive any letters this week? 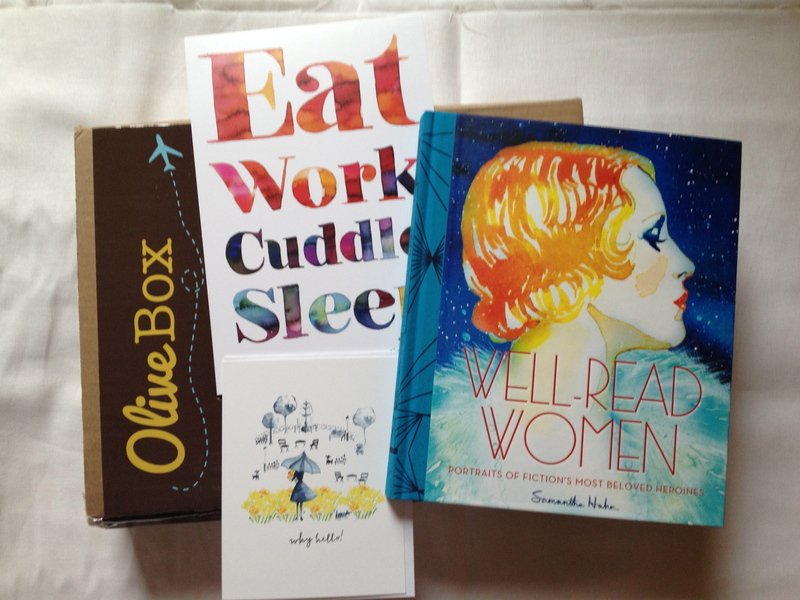 I’m trying out a subscription to a monthly box of paper goods from OliveBox. 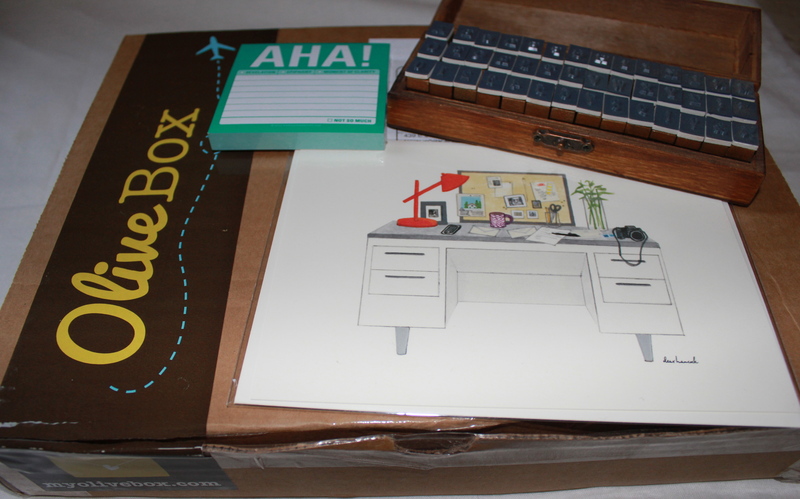 For January, I received this box of goodies, which included an illustrated notecard, an AHA! 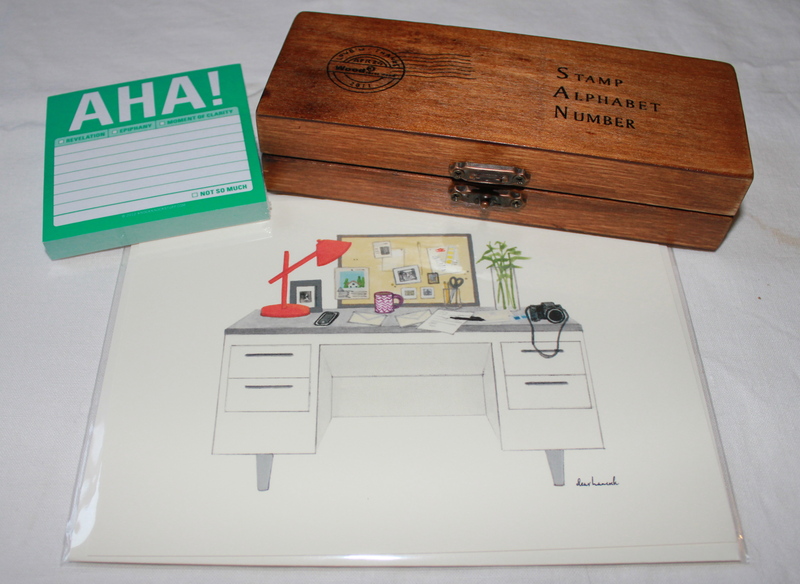 notepad, and a beautiful wooden box full of stamps for the alphabet and numbers. That wooden box is THE coolest thing! 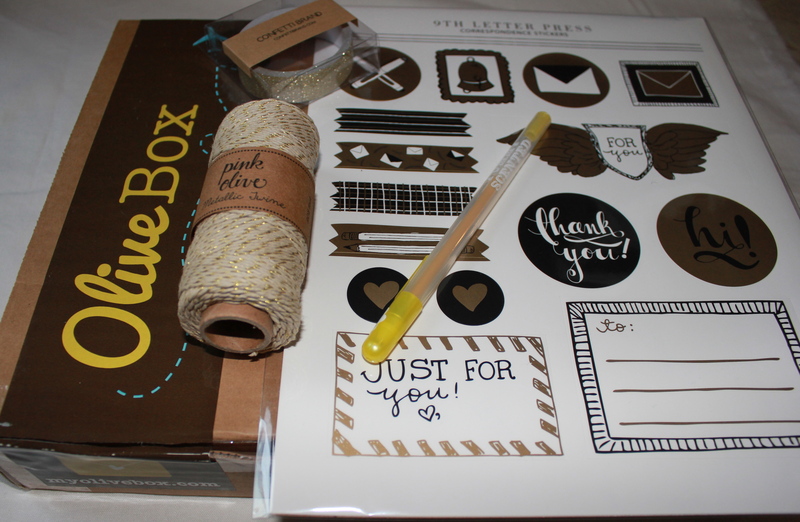 For the December box, I received a sheet of stickers, a gold glitter gel pen, sparkly washi tape, sparkly butcher’s twine, and a sparkly notecard. 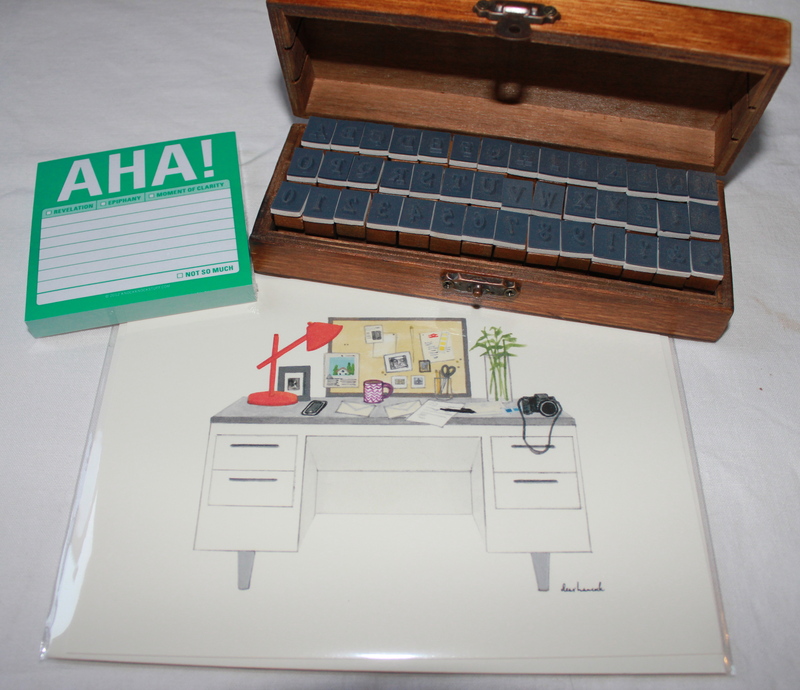 It’s so fun to receive a box full of paper goods around the middle of every month. 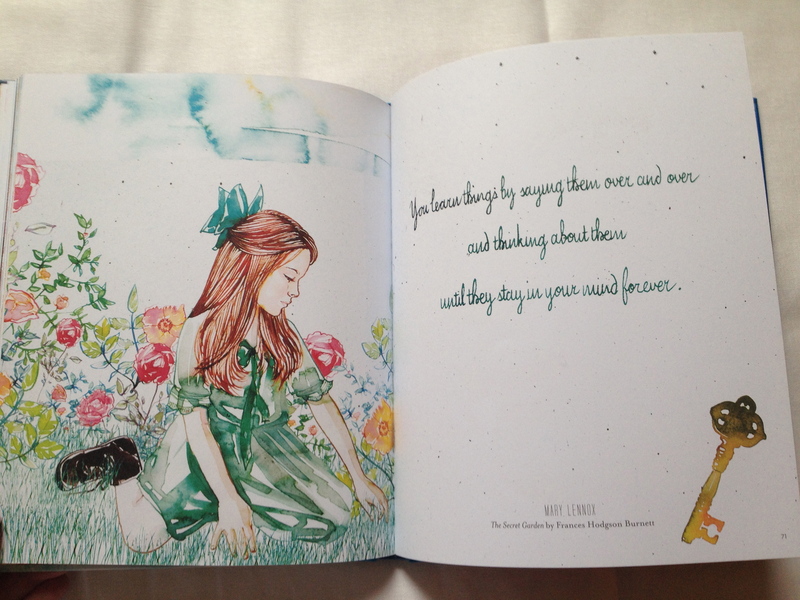 Of course, I wish it came more often, and I wish it had more in it. I have been contemplating the idea of putting together a subscription like this with paper goodies from my shop (things like a couple notecards, a postcard, stickers, a cool pen), so it’s fun to try this subscription to see what comes each month. 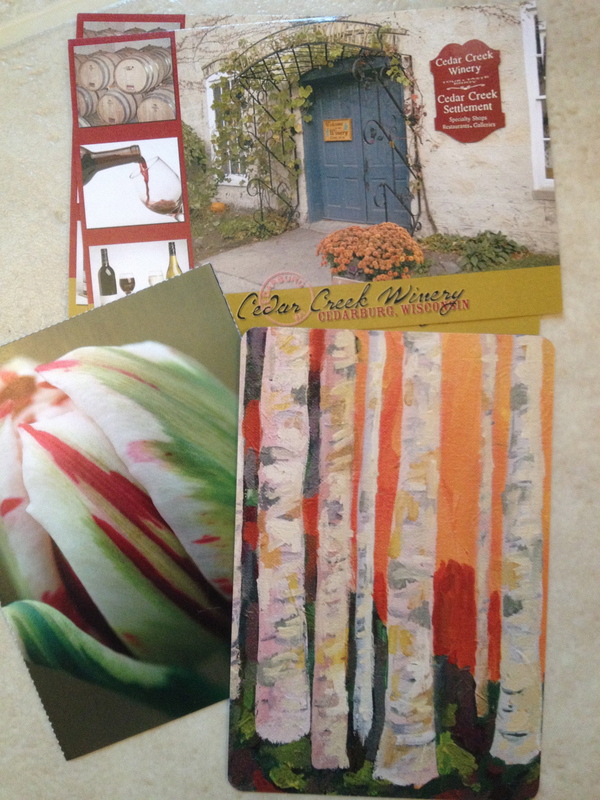 It’s such a thrill to open up the door on our mailbox and find a letter or postcard! Someone actually took the time to find a pen and paper and write a note. As you can see, one of the postcards I received is handmade and beautiful. 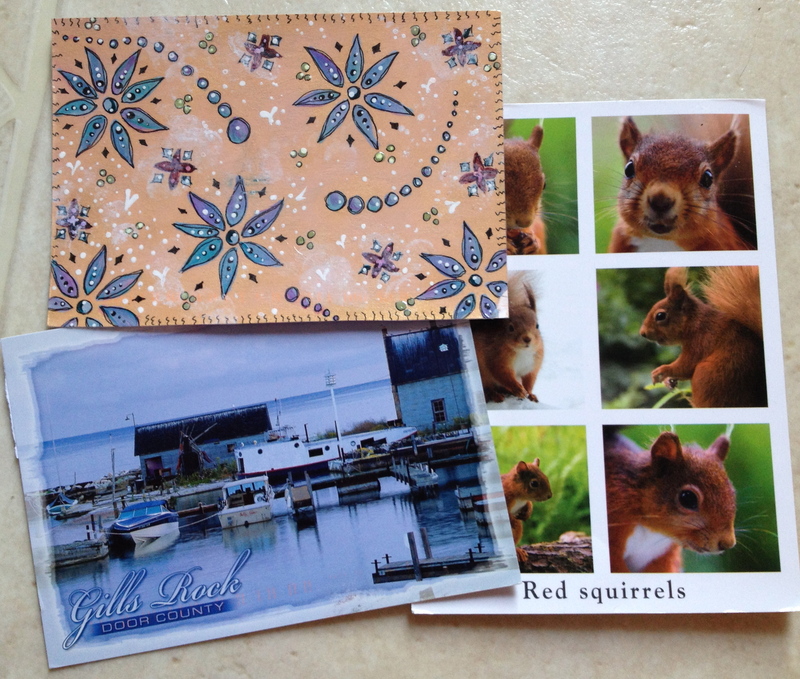 Outgoing this week: postcards to my sister, brother, mom and a friend in the UK. 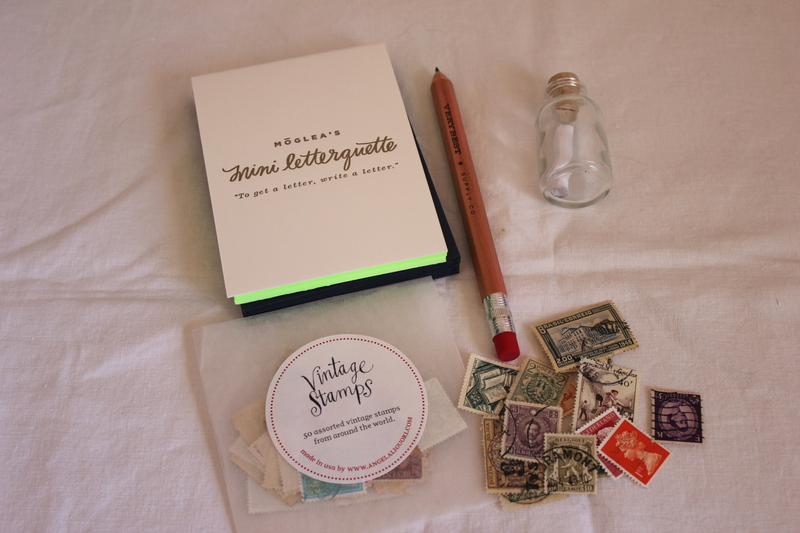 Did you send any hand–written letters this week? 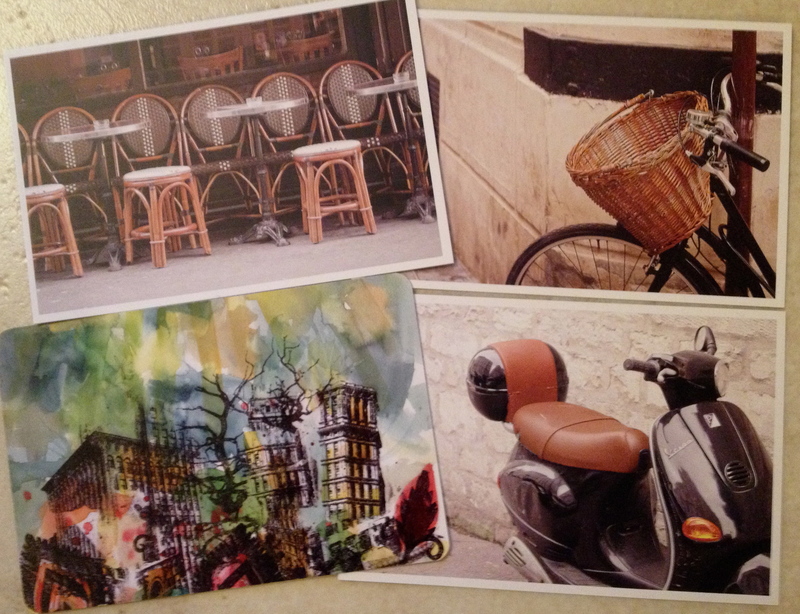 Incoming this week: postcards from my sister and a friend in the UK. 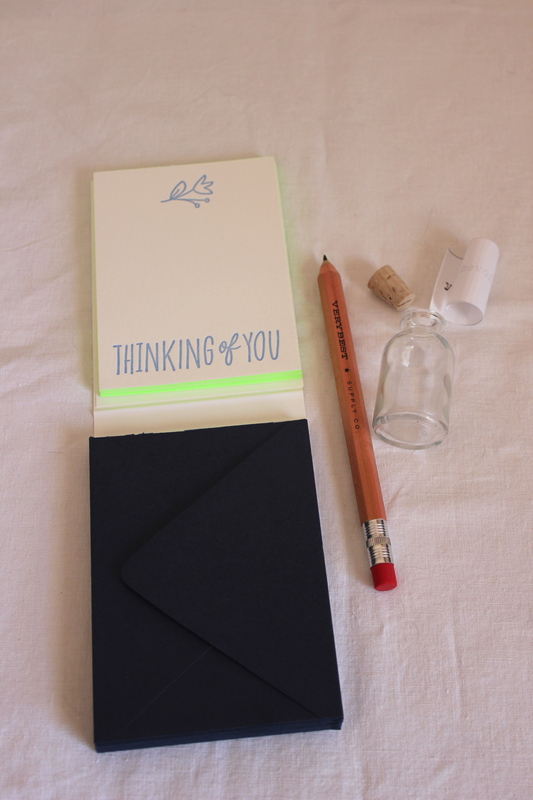 Did you receive any hand–written letters this week? In this day and age when people are busy and life can be centered around technology, it’s a treat to send and receive snail mail.